INX Media case: Karti Chidambaram was questioned several times in the past. 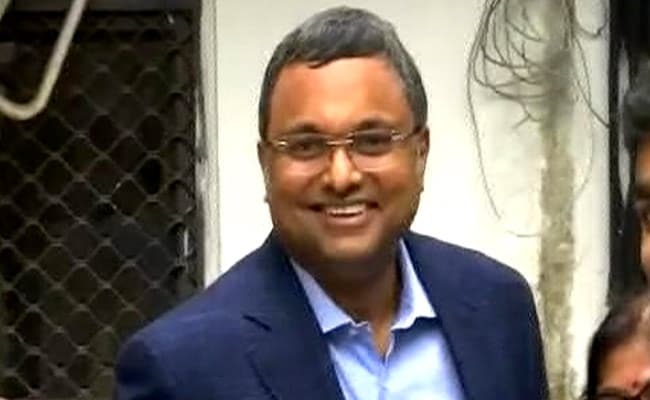 Karti Chidambaram, son of former union minister P Chidambaram, reached the office of the Enforcement Directorate for being questioned in the in INX Media money laundering case. P Chidambaram was questioned twice in the past. Karti Chidambaram too has been questioned several times. The Enforcement Directorate and the CBI are probing how he managed to get clearance from the Foreign Investment Promotion Board in 2007. The Enforcement Directorate registered a case against Karti Chidambaram under the under the Prevention of Money Laundering Act in May 2017. He was arrested on February 28 last year by the CBI for allegedly accepting money to facilitate the FIPB clearance to INX Media. He was later granted bail. Karti Chidambaram’s chartered accountant S Bhaskararaman was also arrested and released on bail later. INX Media was once owned by Peter and Indrani Mukerjea, who are in jail in the Sheena Bora murder case. The Enforcement Directorate has attached properties worth Rs. 54 crore belonging to Karti Chidambaram and a firm in the case. It has also attached properties belonging to the Mukerjeas in connection with the same case.